He was trying to avoid extradition on child luring charges. EDMONTON — A judge has scoffed at what he calls a man's B-movie attempt to stage his suicide and assume a new identity to avoid being sent to the United States on child luring charges. Court records say Robert Andronyk of Edmonton vanished last fall after appealing a federal government decision that ordered him extradited to Arizona to face allegations from 2013 of luring a minor for sexual exploitation. The records say that RCMP found an abandoned vehicle Nov. 30 outside the city near a bridge over the partly frozen North Saskatchewan River. A suicide note addressed to Andronyk's daughter was inside. The note said Andronyk, 70, feared extradition, faced lengthy prison time and couldn't afford a lawyer. Mounties started a search and noted smudge marks on the bridge railing, but couldn't find any trace of Andronyk despite bringing in a dog team and a helicopter. "Based on my observations at the location, I believed Robert Andronyk may have jumped off the Vinca bridge,'' Const. Jeffrey Pettigrew wrote in an affidavit. Andronyk's daughter told Mounties that she had found her father's wallet, driver's licence, credit card, medications and a list of funeral songs at his home. When Mounties dug deeper, they learned that Andronyk had recently given his daughter a large sum of money. The Crown grew skeptical when RCMP learned that Canadian passport investigators were looking into a suspected fraudulent application. RCMP said they believed that Andronyk had submitted a false application using his brother's name and birth date, but using a photo of himself. After reviewing the evidence, Justice Jack Watson of the Alberta Court of Appeal dismissed Andronyk's challenge of the extradition order and issued a warrant for his arrest. "There is also almost a 'B movie' quality to the way in which this alleged suicide is said to have occurred,'' Watson wrote in a ruling released May 4. Andronyk was recently arrested during a highway traffic stop in Canada. "There is also almost a 'B movie' quality to the way in which this alleged suicide is said to have occurred." 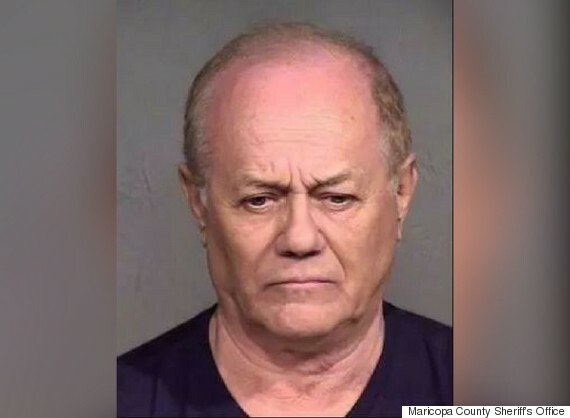 Arizona court documents show that he was charged with 14 counts of child luring in 2013, but half of them were later withdrawn. Justice Canada declined to comment on when he might be extradited. Canada's extradition process allows Andronyk to seek leave to appeal Watson's decision to the Supreme Court of Canada.